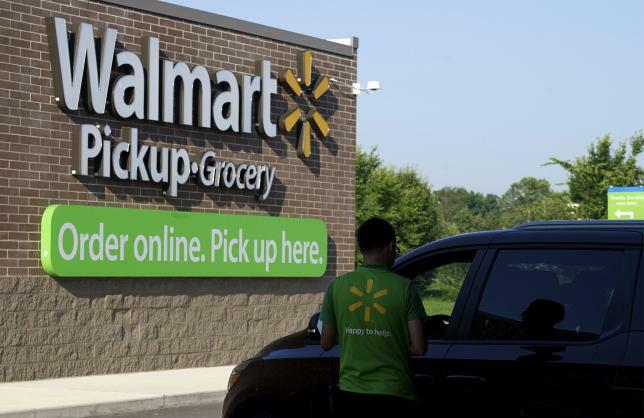 ARKANSAS – Wal-Mart Stores Inc (WMT.N) named the son-in-law of chairman Rob Walton as his successor on Friday, cementing the founding family’s influence over the retailer as shareholders defeated a measure calling for an independent director to lead the board. Some investors, including large pension funds, had been pushing for a chairman without ties to the Waltons, Wal-Mart’s founding family. They argued that the company needed stricter oversight after a bribery scandal involving its Mexico operations surfaced three years ago. The proposal calling for an independent board chairman garnered 16 percent of voted shares, slightly more than a similar measure last year. But as expected the Waltons, who own around 51 percent of Wal-Mart’s shares, and their supporters easily voted it down. Greg Penner, 45, took over as chairman from Rob Walton as of the end of Friday’s annual shareholders’ meeting in Fayetteville, Arkansas, near where the world’s largest retailer was founded nearly 53 years ago. Penner joined the family through his marriage to the granddaughter of founder Sam Walton. Walton died in 1992. Wal-Mart said Penner, a former Goldman Sachs analyst whose roles in the retailer have included a senior position at the online business and as chief financial officer in Japan, brought strong operational experience in addition to his family ties. “His experience and background are going to help us as a company move into the future,” Doug McMillon, Wal-Mart’s chief executive officer, said at a media briefing, citing Penner’s knowledge of its China business as another asset. The shareholder proposal had the support of both major proxy advisory firms, Institutional Shareholder Services and Glass Lewis, as well as some big investors, including the manager of $160 billion of New York City pension funds. The independent chairman proposal was one of five outside proposals that were rejected on Friday. The others included a measure calling for disclosure on when compensation is recouped from executives involved in wrongdoing, which was also spawned by the ongoing bribery probe. Penner has been on the board since 2008 and was named vice chairman in June, a move that had set the stage for him to replace Rob Walton, the 70-year-old son of the founder and chairman for the past 23 years. McMillon said Walton, who will remain on as a director, would maintain an outsize presence at the company: “Someone asked me earlier what role will he play and my answer was whatever role he wants to play,” the CEO said. Penner told the 14,000 workers, shareholders and others at the shareholders’ meeting that the board’s structure was sound. After Friday’s election, 10 of the 15 directors are considered independent, while three had family ties. “Because of our family’s commitment, combined with strong independent director voices, we have a great balance,” said Penner, who has been a partner at the Walton family-backed investment firm Madrone Capital Partners since 2005. All 15 directors on the ballot were elected with at least 92.8 percent support, the company said. Support for Rob Walton increased to 95 percent from 88 percent in 2014, reflecting a decision by ISS to drop opposition to his re-election this year. Penner faces considerable challenges with Wal-Mart, which is battling tough competition both in the U.S. and overseas and is struggling to meet the market’s expectations for growth. Wal-Mart shares closed Friday down 1.5 percent at $73.06, bringing its decline so far this year to about 15 percent. John Davis, faculty chair of the families in business program at Harvard Business School, said having a family member as chairman can be effective because it encourages management to take chances and invest for the long-term.